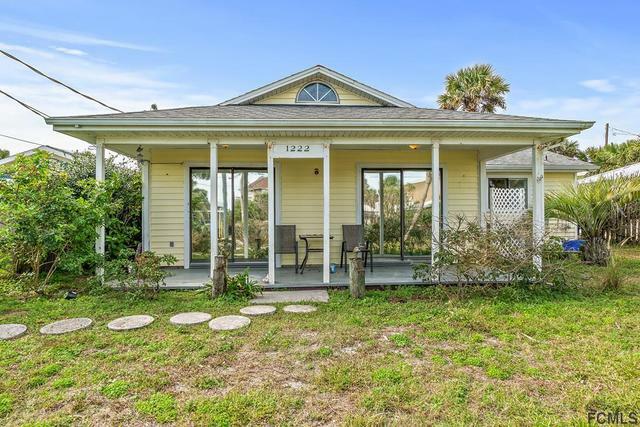 I would like more information about 1222 Central Ave S.
In town on desired South Central Ave, just steps from the sand and sea. Walking and biking distance to wonderful downtown shops, restaurants and pier. Close to park with tennis, basketball and tot lot. The library and the nicest walking path in Flagler Beach is a few blocks away. Charming craftsman style home, needs a little TLC but you have a winner in this location and price. Driving Directions: East on Moody Blvd from I95, South on S Oceanshore Drive, turn Right onto S 12th St (West), Turn Left (South) onto South Central. Property will be on your Right.